Kuta Beach Family Hotel - Lombok, Indonesia Guests overall rating: ★★★★★ 5 based on 6 reviews. 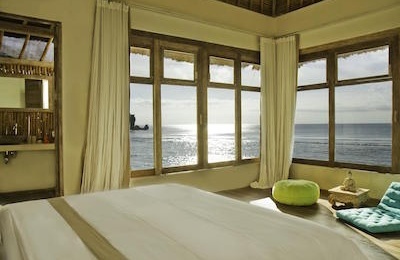 Located in beautiful Lombok island, the hotel is perfectly located just 200 m from the beach. At the same time in the very middle of touristic Kuta Lombok. Lovely restaurants and bars, ATM and a Medical Centre are all within 1-5 minutes walk. Perfect for families and couples, hotel offers a number of room types to choose from. Spacious Superior, Deluxe and King Suite rooms with breakfast included. All the rooms are equipped with AC’s, flat screen TV, private bathroom and WiFi access. A large outdoor pool with sunbeds, lovely terrace and 3 gazebos at your disposal to make you feel all tropical. The island is moderately touristic but still has plenty of untouched natural beauty. Many water activities like surfing, snorkeling and diving to choose from. Other option is to ask help from the lovely hotel staff to rent a motorbike and go explore the island. The hotel welcomes guests all year round and offers 24h front desk service. Free parking and free WiFi at your disposal. The island is famous for quality waves for both, beginner and advanced surfers. Surfers working on gaining confidence will love the protected coves concentrated around Kuta. In particular, Grupuk, Inside Ekas, and Selong Belanak offer beach breaks perfect for learners and longboarders. Many of Lombok’s breaks are most suited for intermediate to advanced surfers. All along the south coast surrounding Kuta you will find waves, with the most popular being Mawi as it picks up the most swell and can turn into a very hollow right on a dropping tide. Surfers exploring this coastline are sure to be rewarded. Other option is to ask help from the lovely hotel staff to rent a motorbike and go explore the island. Visit spectacular Benang Stokel & Kelambu Waterfalls in the heart of the island. Chill at famous Selong Belanak and Mawun beaches. Head over to the top of Mount Rinjani (3700m) volcano for breathtaking views. Visit a traditional Sukarara village to learn about famous traditional weaved cloth making. Lombok is also a world famous pearl producer, so head over to Sekarbela village to see, where the craftsmen do their magic. Last but not least, simply embrace the slow pace of the island: chill by the pool, order a massage and try out delicious Indonesian cuisine. Lay back in one of three cozy hotal’s gazebos, read a travel book while sipping on a young coconut. Kuta Lombok is the most popular holiday village on the island, known for it’s beautiful beaches and many touristic attractions. The island is home to both, many Muslims and Hindus, who are cheerful but still very traditional. If you are planning on traveling around the island and visiting small villages it is more respectable to wear slacks or knee length shorts, a shirt with sleeves or a sarong. Lombok island is located east of Bali. Tropical climate with warm and humid weather all year round. Temperature range from 21 Celsius to 32 Celsius. Lombok International Airport (LOP) welcomes some international flights but majority of arrivals are domestic. It is possible to fly form Kuala Lumpur (Air Asia) and Singapore (SilkAir), otherwise the most convenient way is to travel to Lombok form Bali or Jakarta. Speed Boat – Prices start at $25 USD depending on the company you choose, and how much luggage you have. Visit Lombok fast boats for information and prices, or simply turn up at the port of Pandang Bai or Serangan in Bali. Flying From Denpasar – Takes 30 mins (add check in/out times to this) and costs $30-50 USD. If you’re travelling with boards, you will have to pay extra fees. Airlines flying to Lombok: Lion Air, Wings Air, Garuda Indonesia. You can choose to fly from one of Jakarta’s airports: Jakarta–Halim Perdanakusuma or Jakarta–Soekarno–Hatta. – One older child or adult is charged IDR 120000 per person per night in an extra bed. – Any type of extra bed or child’s cot/crib is upon request and needs to be confirmed by management. – Supplements are not calculated automatically in the total costs and will have to be paid for separately during your stay. "Good place to stay in Kuta area! Air con rooms, clean and nice, friendly staff, a nice swimmingpool! Good breakfast, simple menu with good taste! They can help you with renting a scooter no hassle! Great value for your money! " Had a fantastic stay here. "The rooms are big and very clean. The location is brilliant and all of the staff were so friendly and helpful and could organise anything you wanted from bike hire to airport transfer. Felt very at home here, the food in the restaurant was the best we had in Kuta. The pool is also a bonus. Loved this place and would definetly go back. " "Really lovely pool (poolside rooms are a treat), and a clean and comfy facility for a very reasonable price. Friendly staff who were very accomodating, and restaurant is setup well and serves good local food. For a small extra fee we were given a very late checkout, and the staff arranged motorbike hire and airport transfers service with a smile. I thoroughly recommend this for your stay in Kuta and I'll be back for sure!" Great venue in central Kuta Lombok. "Hotel was recommended by a friend and now I'm spreading the word also. Friendly staff all with sensational English language skills; great location in central Kuta Lombok; and reasonably good restaurant as part of the complex; and a well maintained swimming pool made our 5 nights here well worth the money. So glad we stayed here will be back next time we're in Kuta Lombok." Extended 1 more night here. Very pleased. "Very nice decent place for that amount they charged. It has exceeded my expectations after staying around 1 week in Gili and Lombok. Nice and polite staff who is always ready to help. Will strongly recommend this place to anyone who is staying in kuta lombok. Location is nice and near good restaurant and to the sea is about 5mins by scooter." 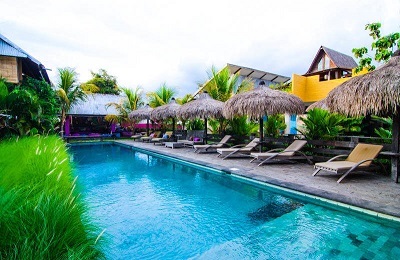 "we stayed in july 2013, just for 2 nights whilst travelling lombok, the hotel is very well maintained, spacious area around pool, sensational room (room1) with everything you need. the staff are exceptional and friendly. 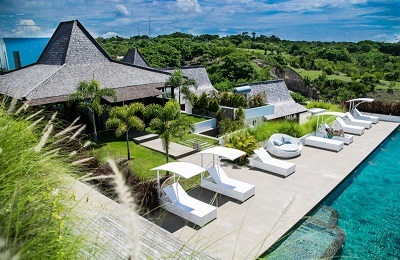 its in a central position and would highly recommend this hotel to anyone wanting to stay in kuta lombok"